AuctionACCESS Mobile makes it easier than ever for dealers to manage their AuctionACCESS account from the palm of their hand. 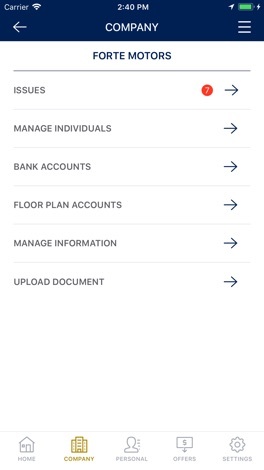 Existing AuctionACCESS members can log in to AA Mobile and manage their account information, upload and/or sign required documents, resolve potential buying/selling issues and manage the individuals authorized to do business on their account. 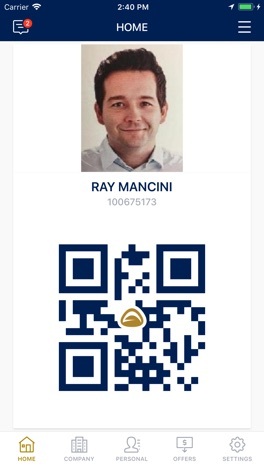 AuctionACCESS Mobile also puts your physical AuctionACCESS card securely on your smartphone device. 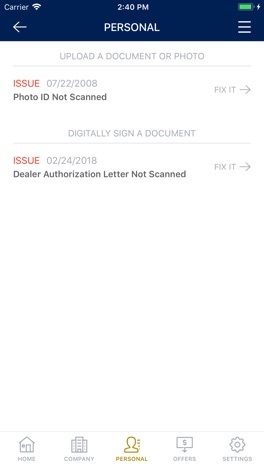 On the home screen, dealers can now see a uniquely generated QR code that is recognized at participating auctions. This QR code can be scanned at participating auction kiosks to quickly and efficiently validate your credentials, print a bidder badge and get dealers quickly in the lanes to purchase inventory. With AuctionACCESS Version 4.0 and higher, new dealers can now enroll in AuctionACCESS on their smartphone by walking through the easy to follow steps on the home screen. Once activated, enrolling dealers will be able to fully manage their newly created account from their smartphone. Dealership owners can view and edit specific company information in AuctionACCESS Mobile and can receive updated floor plan availability with a number of participating lenders. 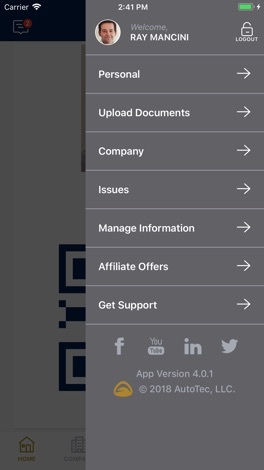 The AuctionACCESS Mobile “Offers” tab provides unique discounts for other industry tools and subscriptions that can only be found in AuctionACCESS Mobile. With AA Mobile, dealers can spend less time managing paperwork and more time sourcing and buying inventory in the physical and online lanes. 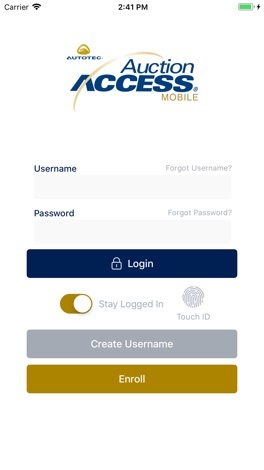 Your AA Mobile username and password are the same credentials used on AuctionACCESS.com. For more information on AuctionACCESS please visit us at www.auctionaccess.com.